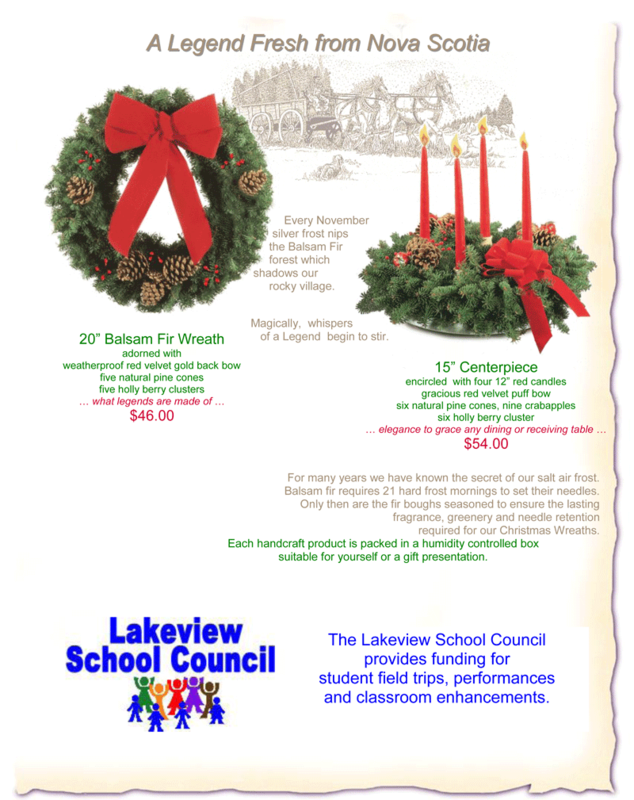 This year, Lakeview School Council is organizing a holiday wreath and centerpiece fundraiser! Each student will receive an order form to sell the beautiful wreaths and centerpieces to family, friends and neighbours to raise money to support school programs. Order forms are due back on November 5th. The beautiful handcrafted wreaths and centerpieces will be delivered to the school for pick-up in early December (exact date & time TBD). This entry was posted in School council news and tagged fundraising by Webmaster. Bookmark the permalink.